Overview: This section includes links to additional SEO tools and other tools useful to webmasters. SEO Blogs - there are a wide array of SEO related blogs. Lee Odden has a list of over 400 here. Robots.txt Primer - learn all about robots.txt files. Robots.txt Generator - create a robots.txt file. Robots.txt Analyzer - analyze your robots.txt file. Spider Test Tool - shows the page size, source code, meta tags, page title, textual copy of the page, keyword breakdown by density (including 2 and 3 word phrases), number of words, number of unique words, and outbound links on a page. Google Bookmarklet - This bookmarklet will display Google's search results for a term in a format that’s easier for copying. XML Sitemaps - makes free Google sitemaps for sites up to 500 pages in size. Sells a cheap and useful script to build sitemaps for larger site sizes. Netpeak Spider - a Xenu alternative. 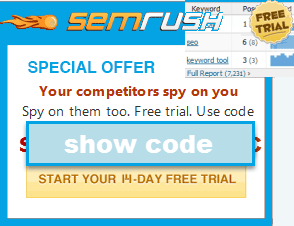 Screaming Frog SEO Spider - similar to Xenu Link Sleuth with a lot more features. Free on smaller sites and has a paid premium version. Deep Crawl - hosted crawling solution. Google Webmaster Central - allows you to sign up for Google Sitemaps, shows some crawling errors, and a more complete view of your backlinks. Moz - has about a dozen tools. Some require membership, others do not. Internet Marketing Ninjas - has about a dozen and a half free tools. The Marketer Toolbox - lists nearly a couple hundred tools. Internet Archive - offers the wayback machine to see what a website or page looked like in the past. Cookie Search - see what cookies are left by various websites. Domain Tools - search historical whois data. Who.is is a a competing tool. NameBio - database of sold domain names with the dates they were sold and the prices they sold at. BuiltWith - shows how popular various web technologies are relative to one another. Opera - another popular web browser not owned by any of the major search companies. iDevAffiliate - affiliate software which once powered our affiliate program. Post Affiliate Pro - another affiliate software solution. MXtoolbox - email related tools including a popular blacklist lookup. Real Favicon Generator - quickly generate various sized Favicon files for Apple & Android devices. Google Docs - like Microsoft Office, but free, collaborative, and web based. The general tip here is start off wherever you like doing what you are comfortable with. As you gain experience and leverage move yourself up the value chain and increase your margins. Affiliate Programs - too many options to list, but you can start at sites like CJ, Linkshare, ClickBank, Shareasale, and move out from there. We partnered with Media.net to offer you a 10% earning bonus for your first 3 months in their program. When you click this link and sign up today, Media.net will add an extra 10%.